The history of documentary has been one of adaptation and change, as docu-mentarists have harnessed the affordances of emerging technology. 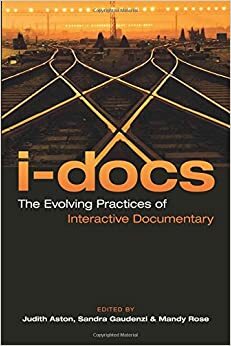 In the last decade interactive documentaries (i-docs) have become established as a new field of practice within non-fiction storytelling. Their various incarnations are now a focus at leading film festivals (IDFA DocLab, Tribeca Storyscapes, Sheffield DocFest), major international awards have been won, and they are increasingly the subject of academic study. This anthology looks at the creative practices, purposes and ethics that lie behind these emergent forms. Expert contributions, case studies and interviews with major figures in the field address the production processes that lie behind interactive documentary, as well as the political, cultural and geographic contexts in which they are emerging and the media ecology that supports them. Taking a broad view of interactive documentary as any work which engages with 'the real' by employing digital interactive technology, this volume addresses a range of platforms and environments, from web-docs and virtual reality to mobile media and live performance. It thus explores the challenges that face interactive documentary practitioners and scholars, and proposes new ways of producing and engaging with interactive factual content.